SERIR is a line of perimeter intrusion detection systems for the protection of flexible metal fences (in rolls) and semi-rigid panels (welded mesh panels). SERIR deploys piezodynamic detectors which perceive the vibrations of the metal fence during an intrusion attempt for breakthrough, climbing and cut, including sporadic cuts (single cuts perfomed over time).All SERIR systems and their signals can be centralized over DEA NET to be integrated into DEA MAP software or 3rd party devices and software, also with IP protocol. The piezodynamic detection technology provides the highest immunity to wind than a fence-mounted detection system has ever offered. 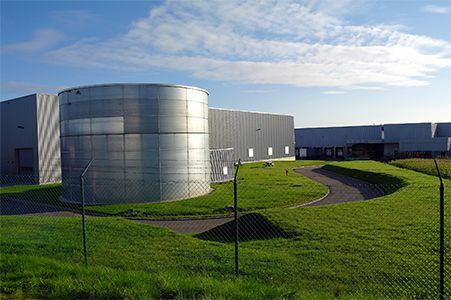 SERIR systems have a very high tolerance to adverse climatic events such as rain, snow and extreme temperatures, and to man-made factors such as roads, motorways and railways. SERIR detectors are compatible with high grass and bushes and can be even installed on fences completely covered with evergreen climbing plants. Working on the boundary of an estate, SERIR systems offer a round-the-clock protection letting people move freely inside the perimeter. All SERIR detectors are wired, sealed and tested at the factory to avoid on site possible wiring mistakes and to guarantee the tightness of all the junctions from dust, water and humidity. The sensor-strings adapt themselves to the terrain conformation and to the direction of the perimeter, making it possible to follow bends and differences in level, avoid obstacles and overcome possible discontinuities along the fence. Fence-mounted system with analysis unit integrated in the sensors. 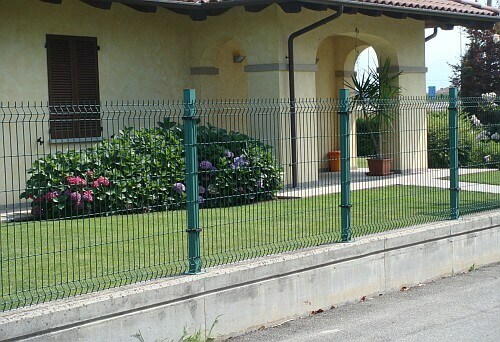 Fence-mounted system with passive sensors and 50-metre alarm zones. Stand-alone versione of SERIR 50 system provided in ready-to-install kits. SERIR P2P is the new fence-mounted system which combines DEA Security’s reliable piezodynamic technology with a sophisticated Point ID technology. Each sensor is individually identified to precisely locate the point concerned by the alarm; it also integrates a sophisticated analysis unit which independently processes the signals detected and then sends the different alarm reports to the controller. Up to 1,5 km with one controller. One SERIR P2P controller can manage 500 sensors arranged on two communication buses up to 1.500 metres (if the sensors are installed every 3 metres). Such a feature remarkably simplifies the system wiring infrastructure, especially in big sites. A self-diagnosis function is implemented in each sensor and checks the status of both the electronic part and the piezodynamic transducer. It also allows you to discriminate possible degrading factors before a failure may occur. Sensor automatic identification and sorting. Upon the first configuration of the system, the control unit automatically identifies all the sensors that are linked to the bus and sorts and distributes them on 64 alarm logical lines. The logical lines can be manually reconfigured according to the project requirements. Calibration per logical line or per sensor. Each sensor can be calibrated and configured together with the others of the same line or individually. The calibration is easied by a real time 3D chart of the analog signal coming from each sensor. 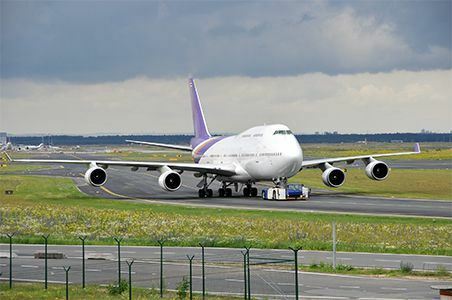 The sensors are provided with an anti-removal device, which detects the removal of the sensor from the fence, and with a tamper device, which identifies and signals the attempts of tampering the sensor by exposing it to electromagnetic fields or extreme tempertures. The factory wired sensor-lines employ, on both ends, professional easy-plug connectors with IP68 rating and military-grade specifications. These connectors make the electrical connection of the lines very fast and error-proof. Native support for IP networks. The electronic controller board has an Ethernet interface that allows it to connect directly to any TCP/IP network. On this medium it can transmit, in an encrypted way, alarm signals to other systems and devices. The sensors have been designed to resist any climatic and thermal conditions and have an IP68 rating. Their heavy-duty housing is resistant to UV rays, oils and hydrocarbons. SERIR 50 is a fence-mounted intrusion detection system which deploys passive and unpowered sensors provided in prewired strings up 50-metre length. Heavy-duty and versatile, SERIR 50 is suitable both for the protection of small residential perimeters (stand-alone configuration mainly) and for the protection of larger and complex perimeters, with possible centralization of the alarm signals over DEA NET. SERIR 50 is available in three colours – grey, green and black – and in strings of different distance between the sensors (2, 2.5 or 3 metres). For very particular applications or strategic sites, the system can be also provided with polyamide sensors highly resistant to chemical agents. SERIR 50 is available in sensor-strings of 50-metre length maximum, to provide an accurate identification of the section under alarm and to be easily coupled with the videosurveillance system (CCTV). Specially designed for external use, SERIR 50 sensors and cables have a very high resistance to UV rays and to temperatures varying from -40° to +80° C. The piezodynamic transducer of the sensor is virtually inexhaustible and is immune to electrical failure. SERIR COMPACT 50 is a stand-alone version of SERIR 50 system and is supplied in a ready-to-install kit for the protection of a 50-metre perimeter. It is particularly suitable for the protection of small residential and commercial sites. SERIR COMPACT 50 uses SERIR 50 technology and sensors, therefore it provides the same level of reliability and performance. The system is supplied in a kit (Module) including a prewired sensor-string, a small pre-assembled electrical cabinet (Analysis Unit) and a set of accessories to install and start-up the system in a very quick way. The 50-metre standard coverage can be expanded for further 50 metres for a total length of 100 metres, using a special expansion module which will be installed inside the pre-existing Control Unit. The COMPACT version of SERIR 50 system has been especially designed for compounds of maximum 100-metre length, where it provides very good ratio between price and performance.